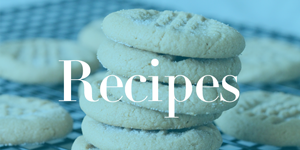 Home / Freebies / Free Stuff Online / FREE Crock Pot Cake Mix Recipes to Download! For a limited time you can down a FREE eCookbook filled with Crock Pot Cake Mix Recipes! The ease of crock pot cooking with a cake!Some of the recipes include:Gooey Chocolate Slow Cooker CakePeach and Berry Cake Mix CobblerCake Mix Apple Pie Coffee CakeCoffee Caramel Cake I have a folder on my computer that I created just to keep all of these great free eCookbooks in one place, so I always know right where they are when I go to look for one.They all look pretty yummy! So head over to download the FREE eCookbook filled with Crock Pot Cake Mix Recipes today!